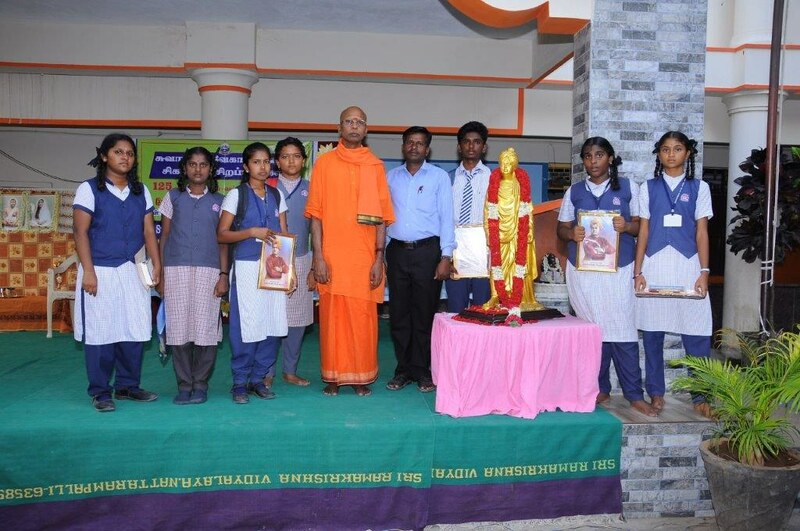 In Commemoration of 125th Anniversary of Swami Vivekananda’s Chicago Addresses, Ramakrishna Math, Nattarampalli organized literary competitions in Recitation, Essay Writing and Elocution, subjects connected with Swamiji’s teachings among the students of Tirupathur Educational District Schools and Colleges with the official permission obtained from the District Education Officer. 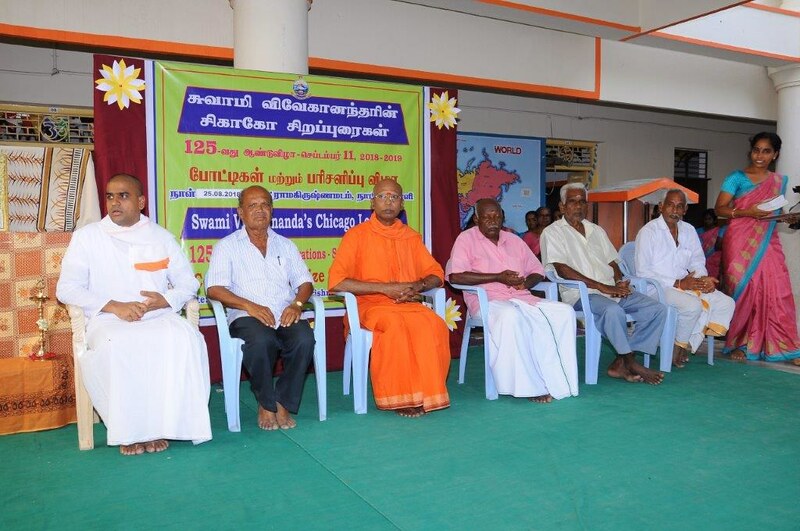 The Ashrama Team consisting of a monastic member, devotees, Retd. Head Masters and teachers visited 115 schools mostly of rural areas and 11 colleges with the DEO’s letter briefed them about the event and extended invitation and appealed to them to send their students to participate in the event. 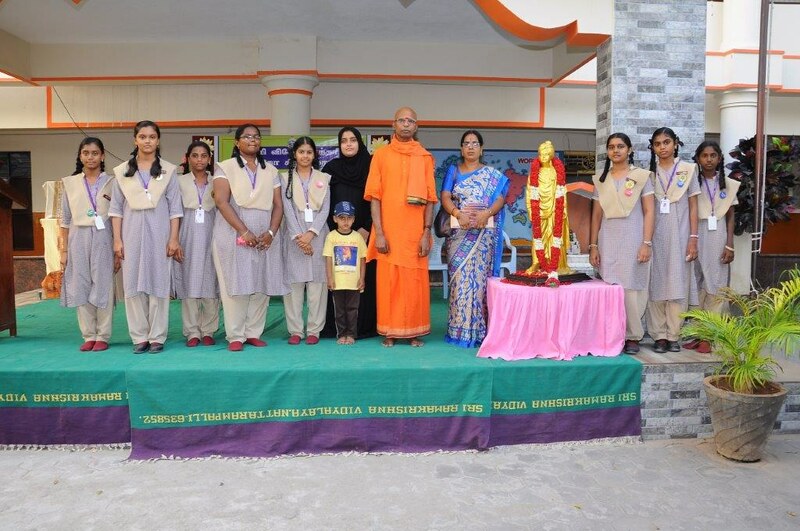 The Ashrama also distributed to all schools 4250 copies of Swamiji’s literature i.e. Chicago Addresses of Swami Vivekananda, Teachings of Swami Vivekananda, Thus Spake Swami Vivekananda, Flashes from Swami Vivekananda etc. in Tamil language. 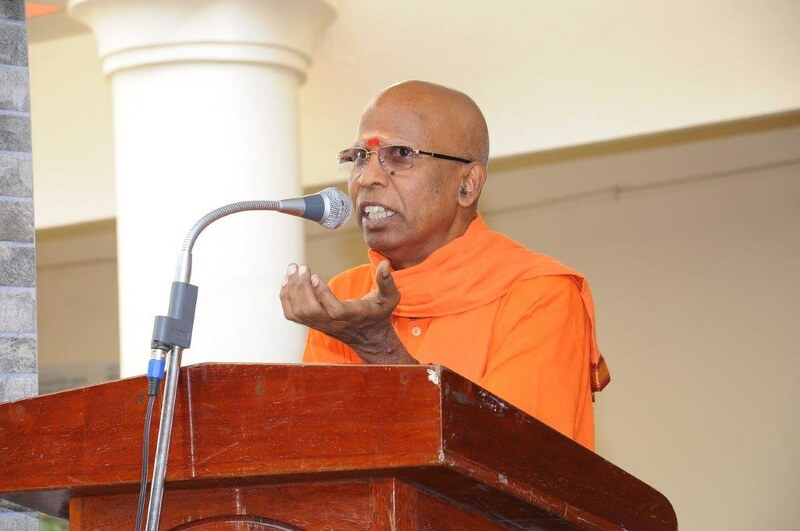 In all total 1051 students participated in the one full day event which was held in our Ashrama Campus on 25 August 2018 and lunch was distributed to all assembled people including the participants. In the final round, selected 359 students from 40 schools and 3 colleges participated. 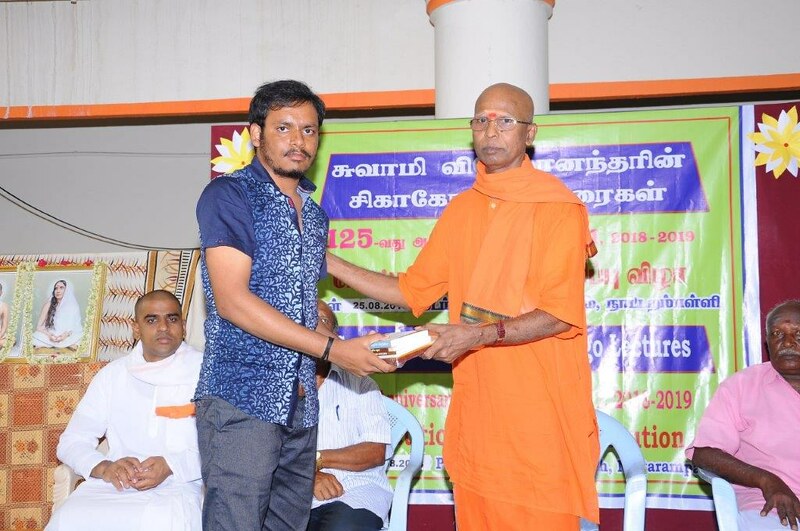 In the public function which was held on the same evening Cash Gift of total Rs.17,780/- and Swamiji’s literature were distributed to the winners.